Adult Swim has released their schedule of panels and event for New York Comic Con (NYCC), to be held October 6-9. Adult Swim will be headquartered inside the Javitz Center, in the Crystal Palace during the entire con. Inside the palace, you can take a photo with multidimensional criminal Rick Sanchez in the Galactic Federation’s Maximum Security Prison matrix. You’ll even have a chance to step into a prisoner pod an experience incarceration for yourself. 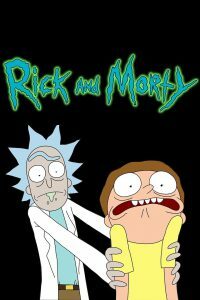 Adult Swim will also be hosting a virtual reality (VR) booth at #768, where you can try out the Rick and Morty Simulator. At booth #656, Adult Swim will be streaming live, with various celebrities, musical gusts and ‘creepy randoms’. Be sure to check out the schedule to see what might interest you. Adult Swim will also be hosting panels on Friday on the Main Stage, with Your Pretty Face at 4:15 pm, Dream Corp, LLC at 5:10 pm and The Venture Bros. at 6:00 pm. On Saturday, it’s time for signings, with the casts of these same shows appearing at Table 21 in the NYCC Autographing Area. 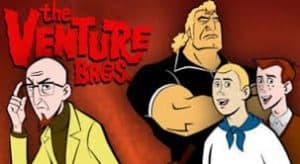 The Venture Bros. will be at noon, with Your Pretty Face at 1:15 pm and Dream Corp LLC at 2:30pm. Best of all, on Saturday night, the Tyrannic is back for the third year. Join Adult Swim for a 3 hour cruise along the Hudson, with a live performance from a secret musical guest, and rub shoulders with Adult Swim personnel. The ship departs from the World Yacht Pier(Pier 81) at 9 pm. RSVP here (18+ only). Adult Swim fans certainly have a lot to do at NYCC this year. If you’re planning to attend any of these events, come join the conversation on FoCC! You can check out the full press release for Adult Swim at NYCC here.